Please comment, tell me what you think, it helps me to better perform next time. This is my third Episode. 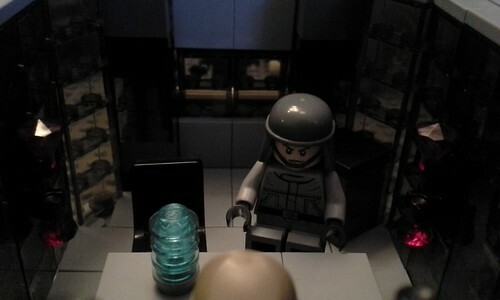 James quickly rushes to Captain Vars to tell him of the Imperial Transmission he received from an Imperial base on Coreillia in need of help. Star Destroyer "Tyrant", Brick System, 2 ABY. Sergeant Trans: What? What is it? 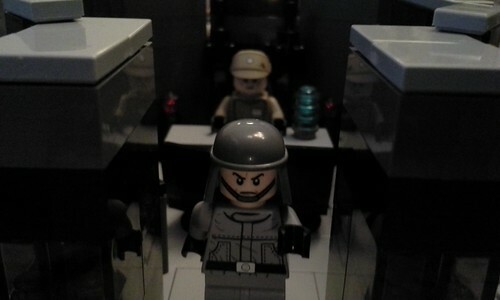 James: I just received an Imperial Transmission from Coreillia, an Imperial base is being overrun, where is Captain Vars!?! Sergeant Trans: Calm down, James. Captain Vars is at an Imperial Meeting. James: I know he's at a meeting, but where!?! Sergeant Trans: The Imperial space base near by. We can try to contact the station, but he should be back soon. James: We need to help the Imperial forces on Coreillia! Sergeant Trans: Coreillia is quite far from here, James. I'm not sure if we can help, and it might be too late already. James: I have to go try to contact the station! Sergeant Trans: Wait up! I'm coming with you, but we may not be able to reach the station. Captain Vars will be back soon, perhaps you should just wait. James: We have no time! Come on! 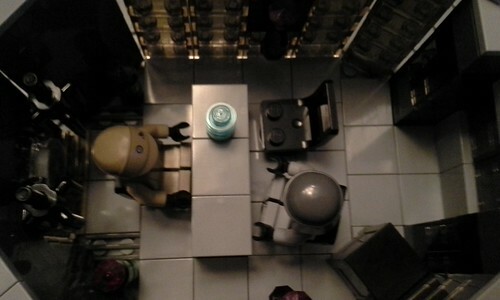 Imperial Space Base 274, Brick System. Admiral Brickton: Hello Captain Vars. I see it you and your officers are enjoying the meeting. 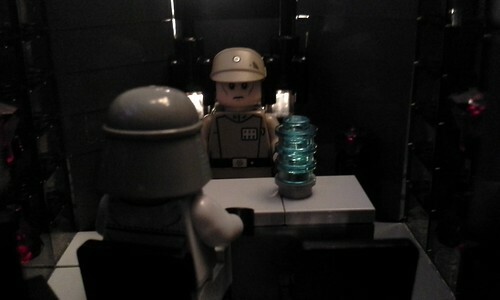 Admiral Brickton: However, there is a reason I have called you away from the meeting temporarily. You see, the Imperial Security Bureau and I have reason to believe one of the troopers of your "B-Squad" is a Rebel spy, and traitor. Captain Vars: What? This is not possible. I trust these men. They've helped me before, and I'm about to send them on a classified mission to infiltrate a Rebel space station. 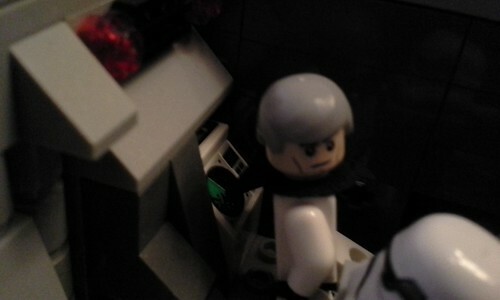 Admiral Brickton: That mission will now be terminated. B-Squad member Dan Jars is a Rebel spy. 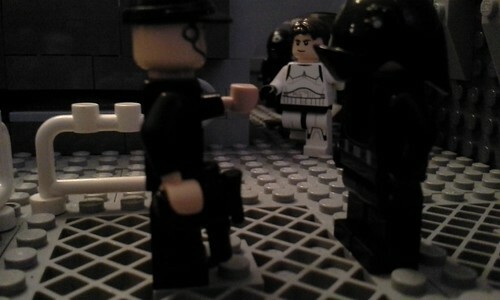 Admiral Brickston: He is a Rebel Spy! He will be terminated shortly after we take custody and interrogate him. Do not inform the other B-Squad members nor anyone else on your ship. Lock down all your ships and fighters until further notice, and keep the ship near this space station. 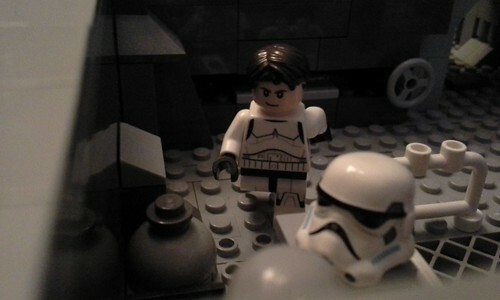 Admiral Brickton: I'm sorry for his sake, Captain, but Rebel spies have to be eliminated. 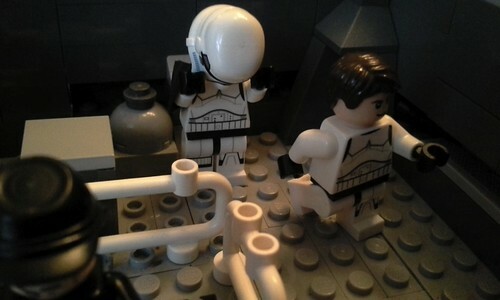 After we take him into custody, you will terminate the mission to the Rebel Station until further notice, who know's what he has told the Rebels. And explain the story to your B-Squad members and any other crew close to this Dan Jars. Now, get back to your ship, Captain. Admiral Brickton: And remember, Captain, this is top secret. Do not mention it to anyone. I will contact you shortly after you get on your ship. We will act from there. Goodbye, Captain Vars. See what happens next in Episode 4! Please comment, and tell me what you thought! Nice story and the builds to it are also great BUT what my eyes must see?????? 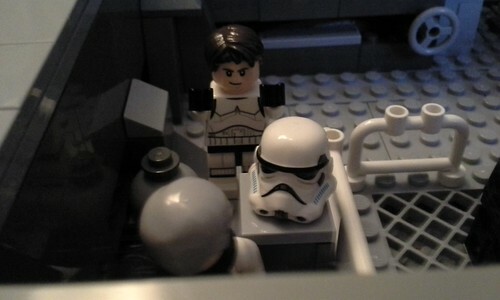 You take this ugly rebels Trooper for an OT MOC - i`m shocked . Waiting curious for the next part. Glad you liked it. The story keeps getting more and more exciting! Next part coming out today or tomorrow, so it won't be too long of a wait. Nice, I like the story, but my only critique would be that I don't think officers would call Stormtroopers by their name, rather by there designated number. You got some cool in-scene captures here and a real imperial surrounding. I agree to Markus about the new troopers. But I understand that not everybody could afford the special OT-Stormies, so I am fine with it. Great work once again, I find your stories very interesting. Thank you all for your comments. The Rebels Stormtroopers don't look as nice as the newer original trilogy ones, but they're in so little, and at that expensive sets, and in low numbers. I will try to get some soon from eBay, bricklink and the Star Destroyer, but for now these will have to do. I will soon be joining you in using the Rebels Stormies for SoNE builds Nothing wrong with keeping your builds on a budget! I especially like your meeting room. The dark trans pieces add a great effect! Judges have awarded you 2 XP!